Berlin, CT heating & cooling. Propane & oil delivery. AC service. Berlin, Connecticut began its existence as hamlets – Kensington, Worthington, and East Berlin – and was incorporated under its current name in 1785. 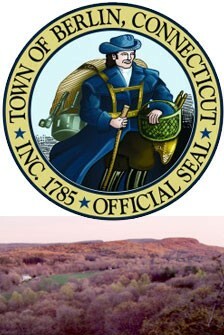 The town, located in Hartford County, has an interesting geographical presence. Berlin is the geographical epicenter of Connecticut. It is surrounded by scenic mountain vistas where ancient volcanic sites are still visible. Residents and visitors can walk along its many well marked trails through its valleys and meadowlands which offer varying degrees of hiking difficulty. This geography created very suitable farm land and became the main reason for early settlement. In fact, to celebrate the area’s rich agricultural heritage and history, the State of Connecticut gave a charter in 1886 for the famous Berlin Fair, which is still held every October and draws thousands of people. In the 1700’s Benjamin Franklin, appointed joint postmaster for the British Crown, set out to establish a postal system network for the colonies. (Ben Franklin also became the first Postmaster General appointed by the Second Continental Congress.) He personally conducted the surveys. Franklin recognized the area’s strong economy due to it being a popular stop on the turnpikes that linked the major colonial towns and cities. Within all of the colonies, only 75 locations were deemed by Ben Franklin important enough to have a post office. Berlin was one of them. The town has had its share of notable men and women. One of them was Simeon North. North’s achievements put Berlin in the forefront of America’s Industrial Revolution. It was here that North, a major arms manufacturer and weapons supplier, built his factory and developed the nation’s first milling machine in 1810. The milling machine made interchangeable gun parts with great precision and standardization. Another notable was Emma Willard, one of America’s first women’s rights activists, author and scholar. She dedicated her life to women’s education and eventually founded the first school for women’s higher education – Troy Female Seminary, Troy, New York. While growing up in Berlin, she progressed so quickly through school that by the age of 19 she was in charge of the academy in 1806. Including: Oil & Propane Delivery. Air Conditioning. The Daniels family began delivering coal in the 1920’s. Daniel’s Energy has been a part of Berlin and Hartford County’s growth for over 90 years. 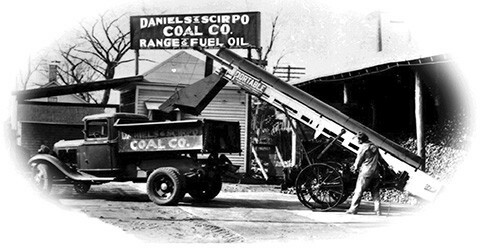 Beginning with our coal delivery business in 1926, the Daniels family has continued to meet the ever changing demands of Berlin’s homeowners’ needs for heating and air conditioning equipment and services. We offer a full suite of HVAC products including installation and servicing. We deliver oil and propane power fuels and can provide you with affordable fuel delivery plans for budgeting. If you use natural gas for heating and air conditioning, we sell, install and service this equipment. Daniels Energy also offers options to switch between home fuel energy sources. From kinetic heating and hot water systems to boilers, furnaces, ductless heat pumps & a/c systems and much more – Daniels Energy has your home covered!